What’s the right number of employee focus groups? Three. Wouldn’t it be great if the answer were just that simple? Although research is rarely that straightforward, let’s explore the idea that there often is an ideal number. Unlike with surveys, focus groups don’t have a formula to calculate the number of sessions you need to get a valid sample. But, after conducting many qualitative studies, I’ve noticed a reliable pattern that I’ll call The Rule of Three. 1. Objectives. Increase/decrease the number of focus groups based on the complexity and scope of your topic. Focus on the data you need to accomplish your objectives, rather than good-to-know information. For example, if you’re gathering ideas for follow-up communication, one to three focus groups will do the trick. But if you’re conducting an audit of your communication system, you’ll likely need to add sessions so you have input from everyone you’re trying to reach. 2. Audience. Adjust based on the colleagues or teams you need to influence with the data. Use one or two focus groups when you’re the only one who will see the data; for example, using the results to shape a communication plan. 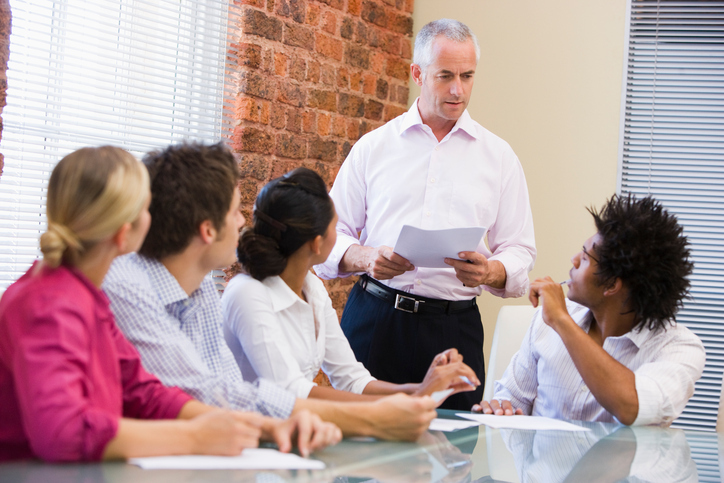 However, if you need to influence a senior leadership team, you will likely need comprehensive representation. (Everyone around that senior leadership table will want to see his/her group represented.) Translation: more focus groups. 3. Speed. Fine-tune based on how quickly you need to use the data. A comprehensive focus group study (with ten or more focus groups) takes time: from participant selection to logistics and analysis. Limiting yourself to one or two focus groups will help you gather data quickly. Here’s an example. We worked with a financial services company to communicate a new brand positioning internally. After considerable time was spent developing the communication plan, we tested it with employees (one focus group), made quick adjustments and launched. We repeated the process after launch to help the team quickly implement follow-up communication: one focus group to identify information gaps.